Dr. Darrien Gaston, MD,FACP,FACG (Chicago) - Book Appointment Online! 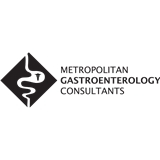 The gastroenterology professionals at Metropolitan Gastroenterology Consultants are pleased to welcome you to our practice. We want all our patients to be informed decision makers and fully understand any health issues you face. That's why we've developed a website loaded with valuable information about gastroenterology, endoscopy and digestive problems and treatments. WHEN BOOKING APPOINTMENT PLS PROVIDE INSURANCE INFORMATION AND FILL OUT PATIENT REGISTRATION FORM.